And now, nearly 20 years later, the two hit wonders return to grab the hearts of a new generation. Toonami recently announced that they will be airing Dragon Ball Z Kai, the revised version of Dragon Ball Z, in Fall 2014. Most of the Japanese VA’s for the new Dragon Ball are the same cast as the original. Including 77-year-old Nozawa Masako (Goku), and Horikawa Ryo (Vegeta). In addition, Crunchyroll announced that they will be streaming Sailor Moon Crystal, a reboot of the series that’s suppose to take a more direct approach of the Sailor Moon manga, on July 5th. 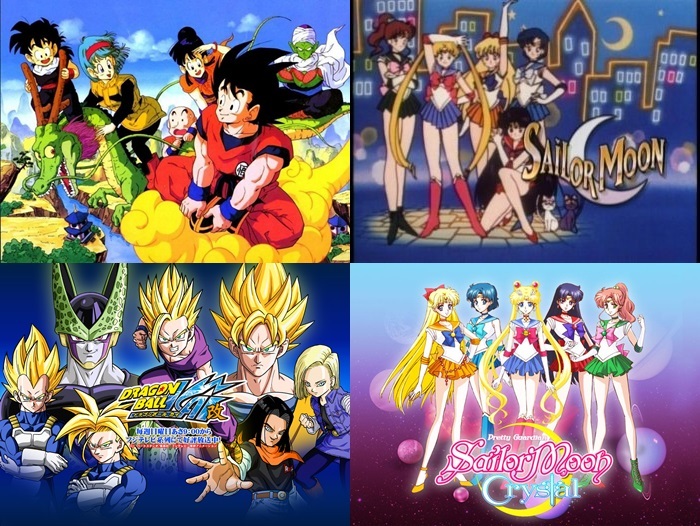 Similarly to Dragon Ball Z Kai, most of the VA’s from the original Sailor Moon are uniting nearly 20 years later to bring their iconic characters back to life. Now that the two most prolific series in the shōnen and shōjo genre return, will they have as much of an impact, or more, for the new generation of fantasy driven individuals? Let us know!